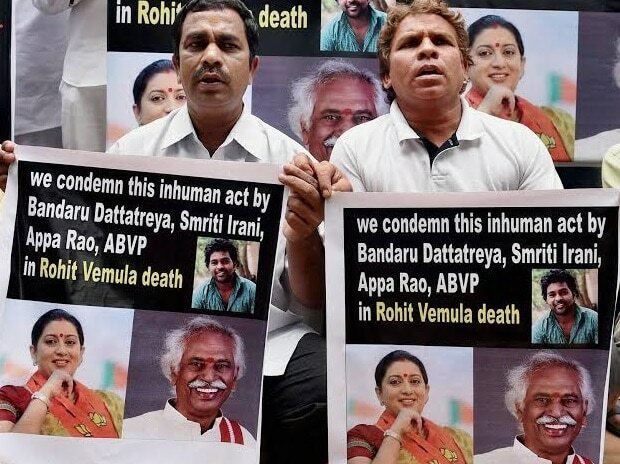 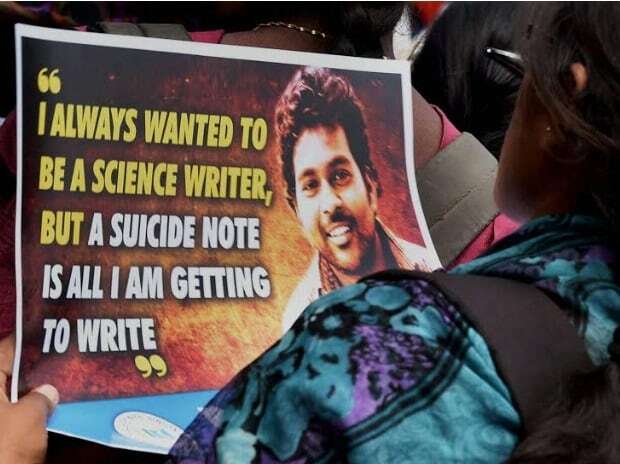 Members of NSUI shout slogans as they stage a protest over the death of Hyderabad's Rohit Vemula in Bengaluru. 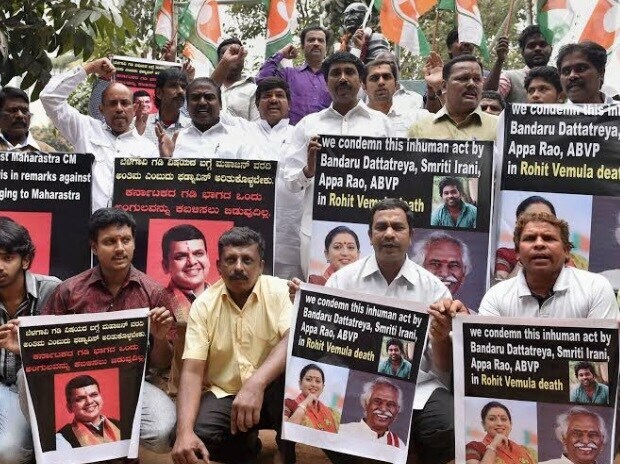 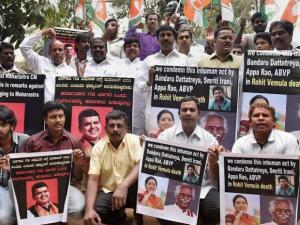 Youth Congress members shout slogans as they stage a protest over the death of Hyderabad's Rohit Vemula in Bengaluru. 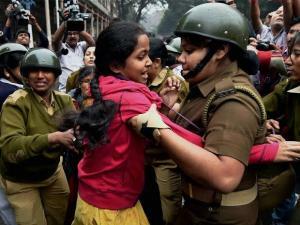 Police detain DSO (Students wing of SUCI) activists who were holding a protest against the Ministry of Human Resource Development in front of Governor House in Kolkata over the death of Hyderabad's dalit student Rohith Vemula.